In September my dear college friend Naoko asked if I would correspond with her English-language students at Kwansei Gakuin University. Their assignment was to interview a professional about their work, and many were interested in learning more about authors and children’s books. Of course I was delighted to accept, and even more excited to receive their thoughtful emails and questions. Wouldn’t it be fantastic if one or more of them actually wrote and published a children’s book someday? I shared the contact information for the Japan chapter of SCBWI with one student who was particularly keen on securing an internship. Fifteen students contacted me, and each one asked, in one form or another, “What inspired you to write picture books?” That was good practice for me, answering a typical getting-to-know-you type question. The second most common question, “Where do you get your ideas?” also provided practice in preparing for future book talks or school visits. • Did you read picture books when you were young? Please tell me a memorable episode about picture books. • What is your happiest and saddest experience in your job? • What do you think is the power of a book? • What do you think about e-books versus paper books? • What can we do for children in poor countries who cannot read even if they want to read books? Do you think each of us can do something? • What should I do in the future if I want to change people’s minds? It was a thrill to correspond with such engaged, interesting students. One sent an illustration of a delightful manga-style monster. Another wrote about how much she enjoyed Marcus Pfister’s The Rainbow Fish. 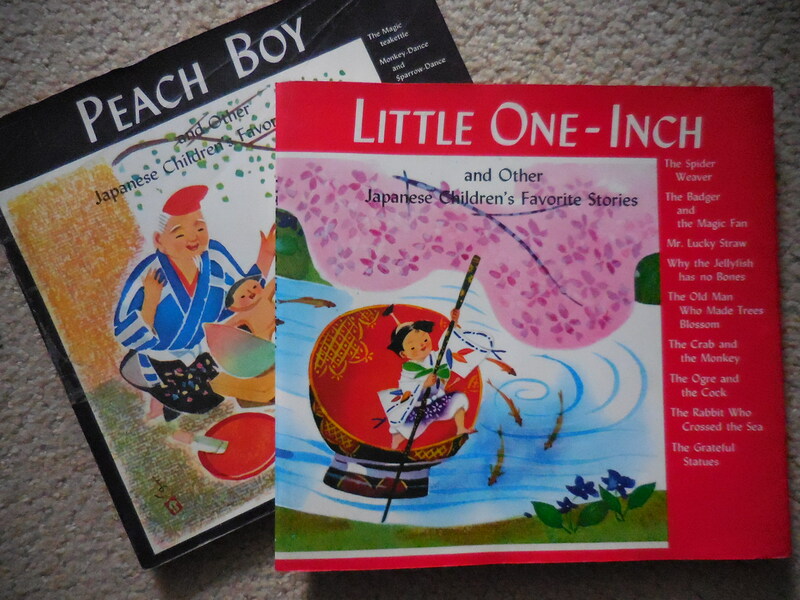 Other childhood favorites were Kon to Aki, Guri and Gura, and Leo Lionni’s Swimmy. Their hobbies and dreams include watching baseball, interior design, illustrating, working with children, and teaching. 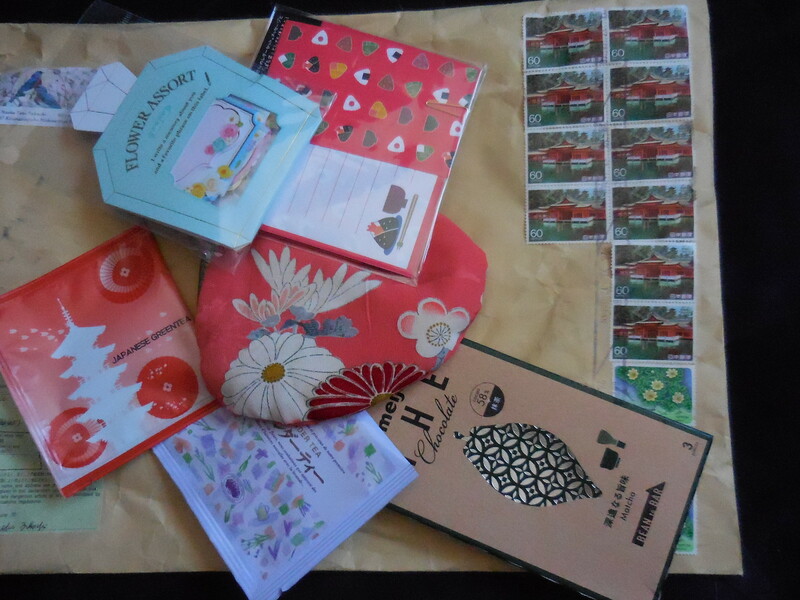 Today I received a lovely package of tea, chocolate, stationery and other goodies from Japan. 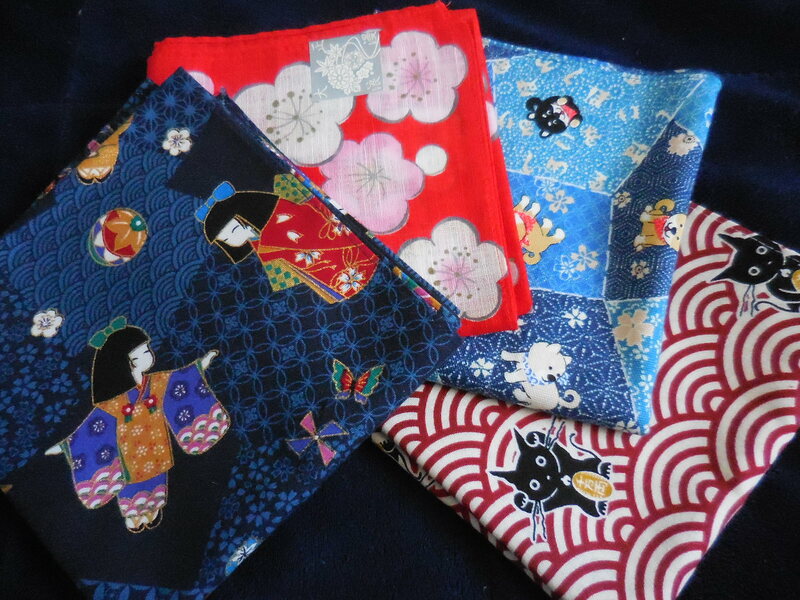 Thank you Naoko, for the perfect fuel to inspire me on this mid-winter day! And thank you to Sae, Nozomi, Ikuho, Miki,Moe, Tomoka, Kanon, Anna, Tomoka, Riho, Kazuma, Yurika, Yuki, Ryosuke and Kana for your questions! How lovely, Cathy!! What a wonderful experience to connect with them! Back in grad school I had a Japanese student whom I’m still occasionally in touch with. He was 18 at the time, but he’s now married with 3 daughters! That’s wonderful! I share your weakness for beautiful stationery. I have a box of pieces that I’ve saved for just the right occasion – someday! What a totally fascinating post! Those students would make excellent pen pals to some lucky American high schoolers including my son who is studying Japanese. I agree their questions were insightful and great practice for future school visits for you. So glad you included the pictures too. Thank you for sharing such a meaningful experience. Thanks Ronna! I remember having overseas pen pals as a kid. It would take months for letters to travel back and forth. Now – zip, zing! Email is great as is translation software! How fun to participate with these college students. I’m sure you made a big impact in their writing life. Neat gifts! I feel super lucky! They wrote terrific questions all around. Thanks Tina! What a fantastic experience for both the students and you. I like how they challenged you to become more precise in what you want to share in school visits. And, I’m sure you influenced some budding writers. I enjoyed their thoughtful questions. I’m so glad you enjoyed this little snippet that I shared. They were lovely interviewers and talented students. Thank you for sharing Pat!